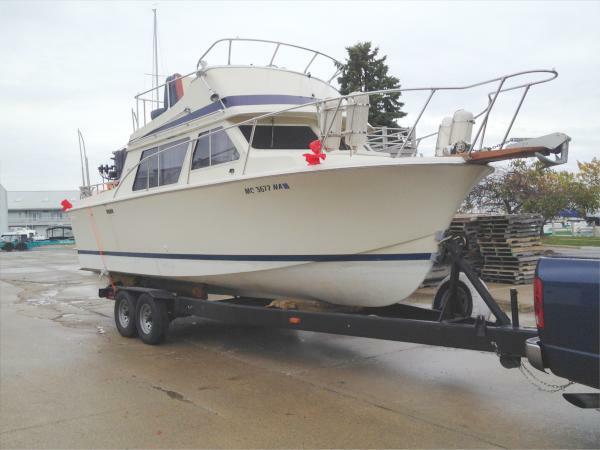 Kirstie Marie (KM)is a very clean and roomy Low Hour Fresh Water 26' Sedan with Trailer (ready to trailer ANYwhere) that was purchased and launched in the Detroit area before moving to Lake Superior in 1992 for many years where she was upgraded and outfitted to modern standards. 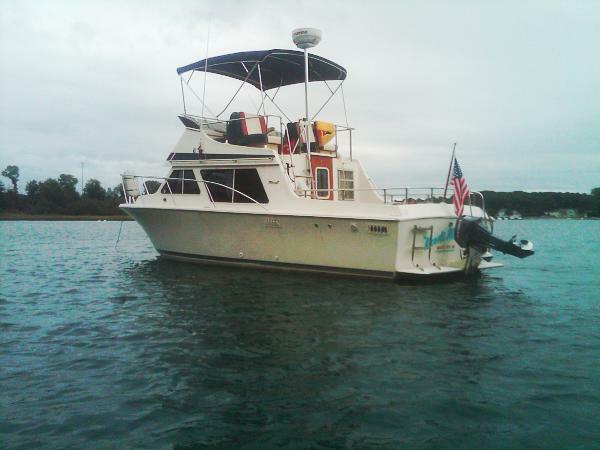 I purchased KM in 2011 and cruised her to Lake Michigan via the Soo Locks, St Mary's River, Mackinac Island and the Michigan Eastern shore. 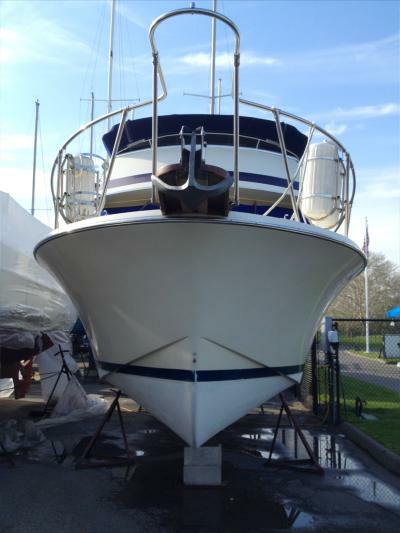 In 2013 I trailered her back to the Detroit area where she has been moored ever since. 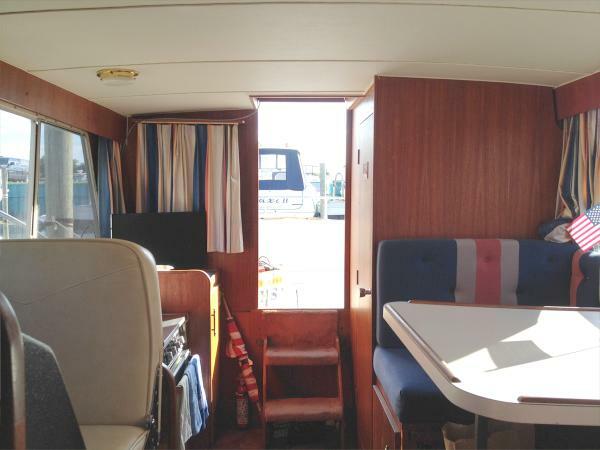 As a Naval Architect I chose KM for her like new condition, solid construction, spacious and modern interior and the fact she was outfitted as a modern day pocket trawler with low hours that I could trailer anywhere and she has exceeded all of my expectations.